Asian stocks pulled back from a one-month high on Friday as the Federal Reserve looked set to deliver another interest-rate hike next month, paring gains made earlier this week after U.S. midterm elections triggered a global equities rally. Spread-betters expected European stocks to follow Asia’s lead and open lower, with Britain’s FTSE losing 0.45 percent, Germany’s DAX slipping 0.3 percent and France’s CAC dipping 0.15 percent. MSCI’s broadest index of Asia-Pacific shares outside Japan fell 1.3 percent and was headed for a loss of more than 1 percent for the week. On Thursday, the index hit its highest level since Oct. 8. Hong Kong’s Hang Seng lost 2.4 percent and the Shanghai Composite Index fell 1.2 percent. 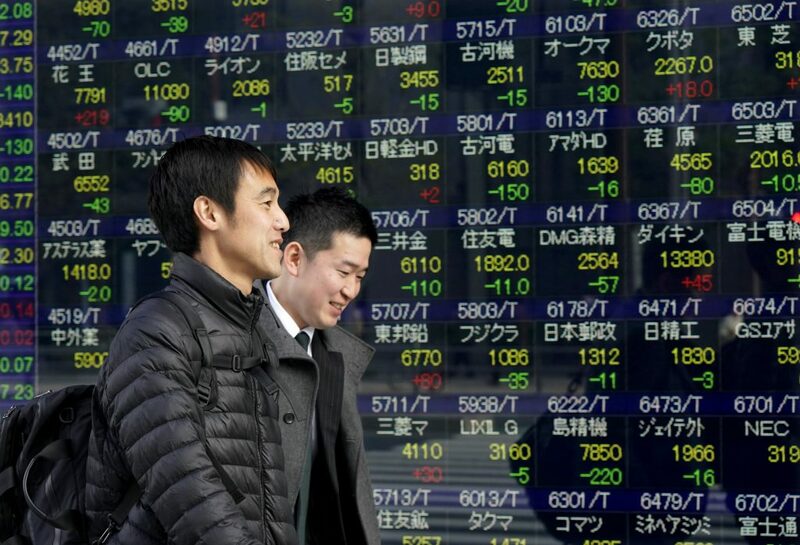 Australian stocks slipped 0.1 percent, South Korea’s Kospi edged down 0.05 percent and Japan’s Nikkei shed 1.05 percent. The S&P 500 lost 0.25 percent and the Nasdaq shed 0.53 percent on Thursday after the Fed’s statement, and energy stocks were the biggest drag on the S&P as U.S. crude oil prices fell. The dollar traded at 113.925 yen after brushing a five-week high of 114.09 overnight. The euro dipped 0.15 percent to $1.1346 after shedding 0.55 percent the previous day. The euro’s and yen’s decline helped the dollar index against a basket of six major currencies’ gain of 0.75 percent on Thursday. It last stood little changed at 96.764. After the Fed statement, the two-year Treasury yield rose to 2.977 percent, the highest in 10½ years. China’s yuan slipped to an eight-day low of 6.9497 per dollar in onshore trade, highlighting the diverging monetary policy outlooks for China and the United States. U.S. crude futures were down 0.08 percent at $60.62 per barrel after falling to $60.40 the previous day, the lowest since March 14. Three-month copper on the London Metal Exchange fell 0.5 percent to $6,122.5 a ton.